I never in a million years thought I'd be into the 'Sportswear' trend, yet here we are! I've fallen hookline and sinker for it! 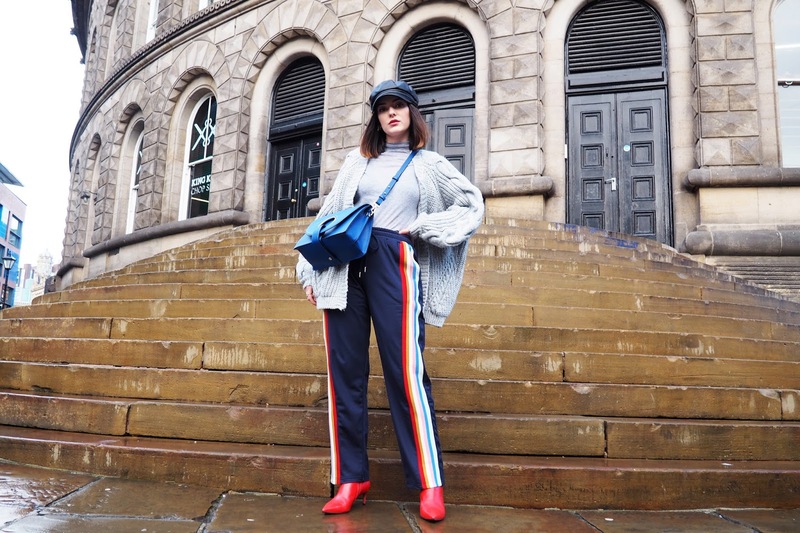 (Definitely not because it feels like I'm leaving the house in my pyjamas...) And let's be real, an elasticated waistband is always a good idea this time of year, amiright? 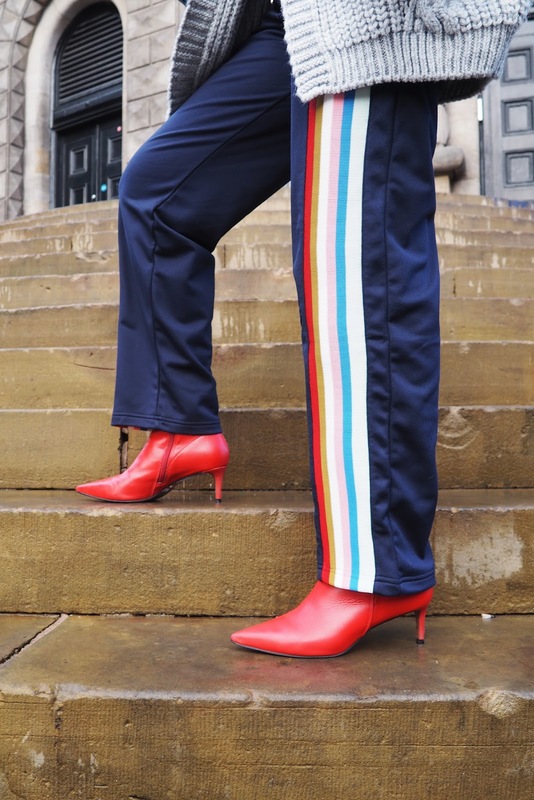 Although I'm still not convinced I'm cool enough for the *full* tracksuit look, I'm always up for a challenge. 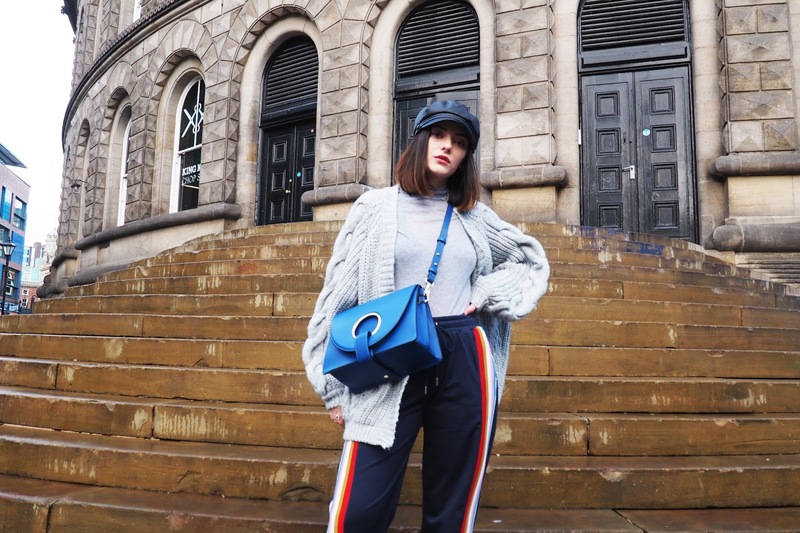 After eyeing up these Alexa Chung track pants for quite some time, I was at first unsure how I'd style them without looking like a 12 year-old. However as soon as they went in the sale I decided to just sod it and take the plunge. Turns out, they go with absolutely everything! Seriously, who'dda thought striped track pants would go with a grey cardigan and kitten heels? 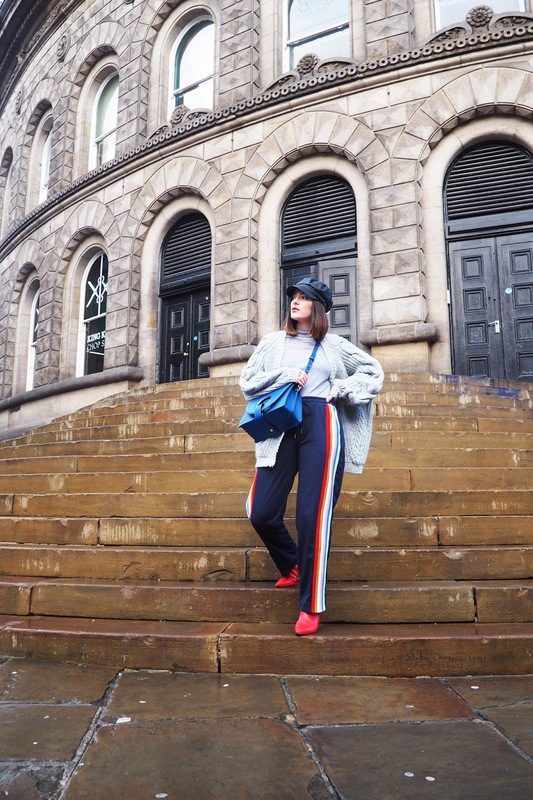 For me, the track pants were my starting point and I wanted them to do the talking, so I styled with a simple grey polo neck and from there, I just based the rest of my look from the colour scheme that was already going on. 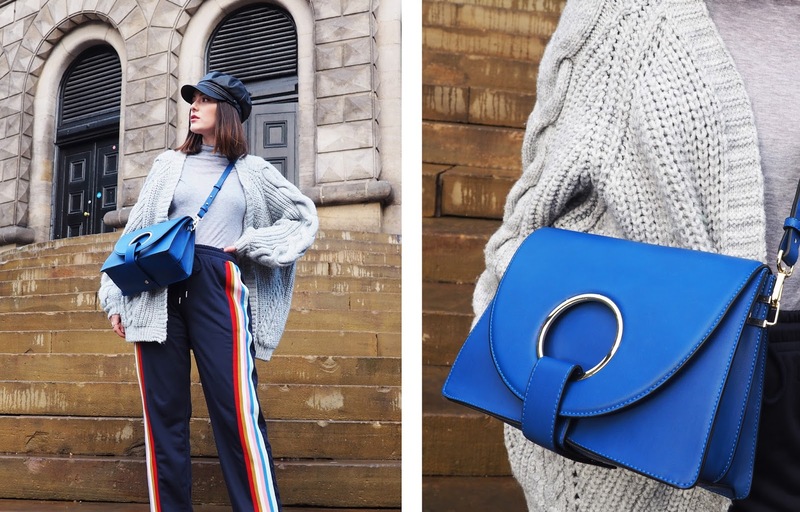 I'm majorly into the colour blocking trend this season, so I feel pretty confident in putting looks together this way. 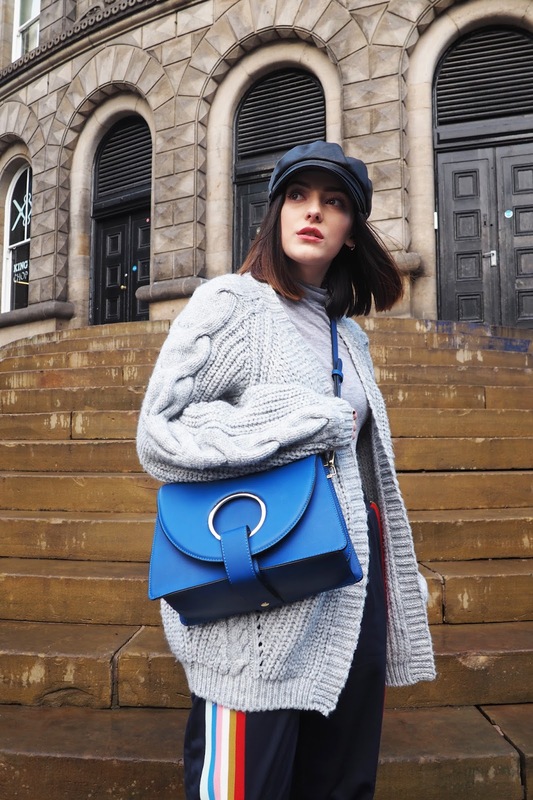 Sometimes I think when it comes to styling, much like real life, polar opposites work wonders together! A tip I'm keen to remember for the future. Thank you - couldn't resist haha! loooove all the colours together! Now that's a cool look. Loving how all the seeminly different pieces work together. Such a beautiful contrast, especially on your trousers and heels. Thank you so much. So glad you like it, lovely!